Nowadays, most of internet users use HSDPA modems for connecting to the internet. Among different types of modems Huawei E220 modem is very popular in the world. Unlike many other modems, E220 modems have an internal antenna so that it can be used in areas where has poor 3G signal strength. However, most of E220 modems supports up to 7.2Mbps download speed and some E220 modems supports up to 3.6Mbps download speed since they have older version of firmwares. Therefore, you can update the modem's firmware for increasing this 3.6Mbps to 7.2Mbps. * If your Huawei E220 modem still works under warranty. * If you don't need to make your modem supports up to 7.2 Mbps. At the beginning backup all the files which are in the modem to your PC. Then, close all the application which run on your PC. 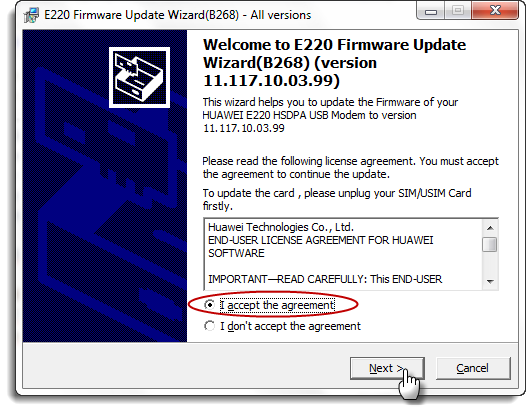 Connect the Huawei E220 modem to USB port and do not remove the modem from USB until finish the entire firmware update process. 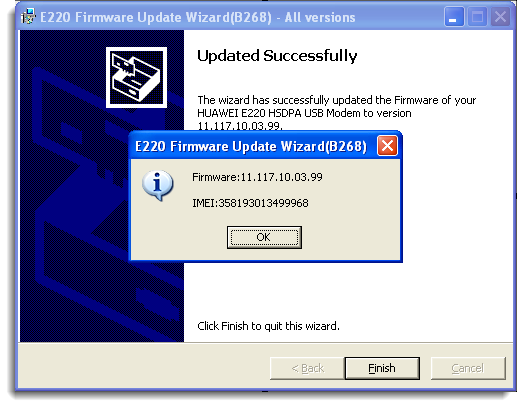 Download Huawei E220 Firmware version 11.117.10.03.99 from the above link and then run E220 Firmware Update. Choose I accept the agreement option and click Next button so that software will detect the modem and again click Next button. Hence, it will pop up a message for confirming firmware update, click yes to start the update. It will update the firmware of the modem to version 11.117.10.03.99 and this update process may take approximately 5 minutes. After doing this firmware update your E220 modem supports up to 7.2Mbps download speed. Now, you can also update the dashboard of the modem. Again, unplug the modem and then plug it to USB and install the application to your PC. Run the application and configure APN settings according to the mobile operator and then Connect to the internet. 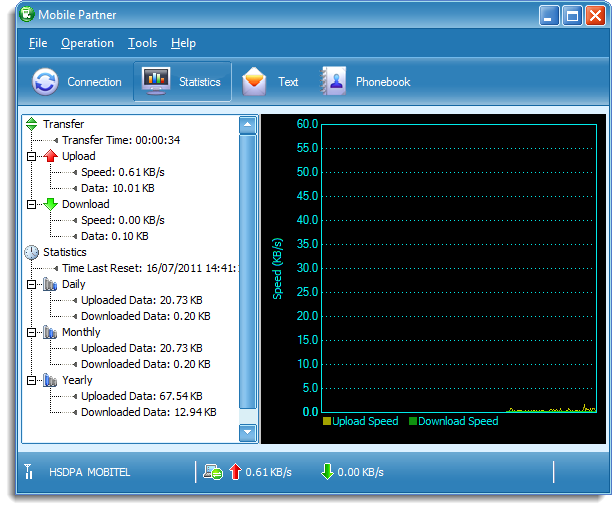 Hence, you can see the modem now supports up to 7.2Mbps speed by clicking on Network icon. Dashboard means the application that the modem use to connect to the internet such as Mobile partner and Mobile connect. There are two type of dashboard software's for E220 modem namely UTPS (Mobile partner) and HOST (Mobile connect). If you need, you can download dashboard software's from here Mobile partner link, Mobile connect link. why has the firnware been deleted? plz can i have the 7.2mbps firmware upgrade?